An evening of family time together! Free family dinner followed by fun activities. Come meet your community resource providers! Enfield Food Shelf to ensure all Enfield children have the food they need to succeed in school and in life. Join us for our monthly KITE meeting at the Stowe Early Learning Center Play Lab. Dinner and childcare is provided. 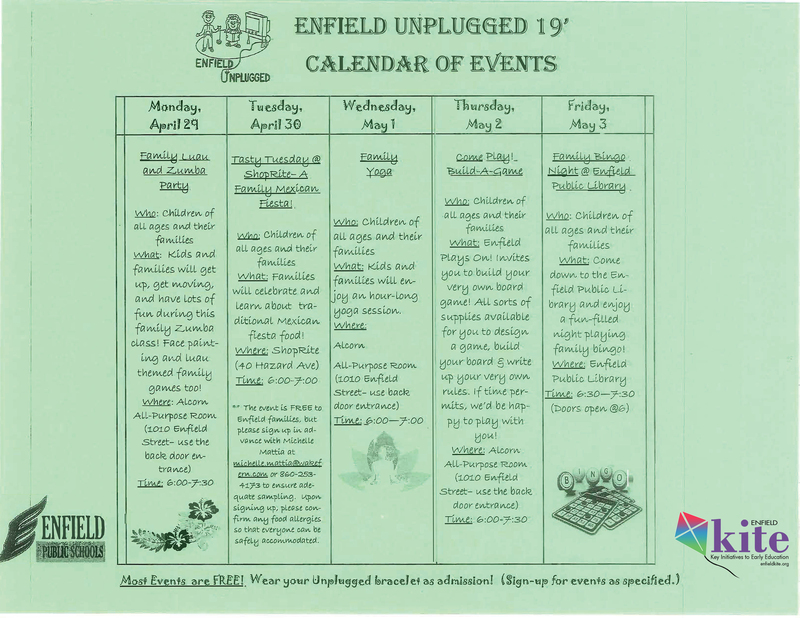 Please rsvp to manderson@enfield.org. Copyright Enfield KITE. All Rights Reserved.